I often write Kajou Chikusei in my calligraphy, paintings and pottery. 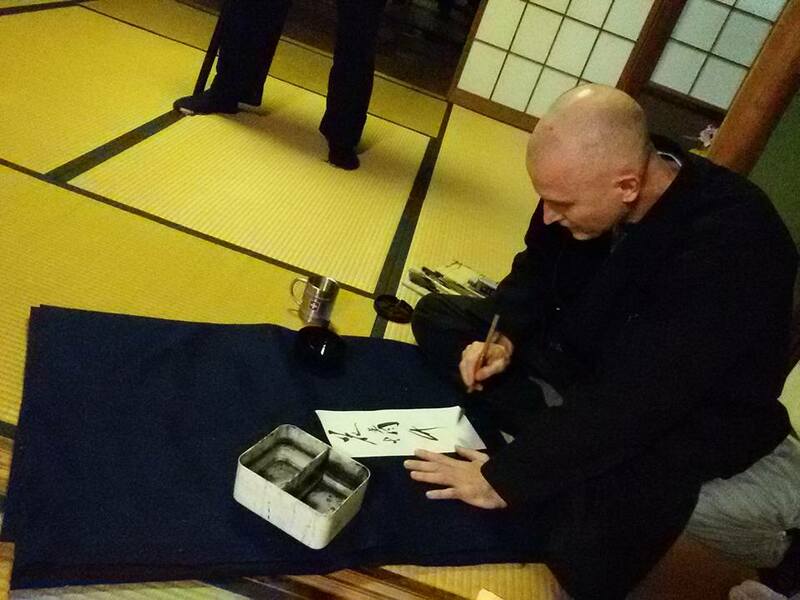 It seems like it was one of the first gokui (inner teachings) of Ninjutsu that Hatsumi Sensei taught me. So it feels natural to share it with you here as I start this new journey at the kasumian. At the kasumian, you will find many paintings and references to this teaching though out the center. Here is a translation of Sensei talking about Kajou Chikusei from way back in 1964. Before I was even born! I hope you enjoy. This means that if you want to reach to the highest inner teachings of Ninjutsu, you must have the kindness of the flower in your heart and the pliability/flexibility (sunao) and straightness and up righteous heart (masugu) of the bamboo. This is the heart of the martial path, the warriors heart. And the warrior`s heart is, as it almost goes without saying, the pure heart (magokoro). If the ninja does not have this heart, it simply becomes only a skillful manipulation of the forms of ninjutsu. Something quite ordinary. low, vulgar, and worldly. (俗物- zoku butsu). *Sunao has the idea of being honest and pliable in an accepting way, kind of opposite to hard headed or stubborn. For example, a sunao person can accept well founded criticism and new ideas. Here is the original Japanese for those who wish to read the original. This entry was posted in Gokui on 05/14/2015 by Kasumi An Study Center.